Special equipment and techniques are necessary for taking good photographs of yourself or a group of people you are with. First, you will need a mechanism to trigger the camera without requiring you to hold it. This can either be achieved with a timer or a shutter release cable. If your camera has a threaded hole on top of the shutter button, you should be able to screw a shutter release cable or external timer unit into it. A cable of this type lets you remotely trigger the shutter by pressing a button on the end of it. Unless the camera is motorized, you will still need to advance the film using the lever or wheel on it. If using a timer, be sure to set it so there is some extra time, then the film exposure won’t be lost if you aren’t prepared for the photo quickly enough. If your camera doesn’t have a threaded shutter button or a built-in timer, you will need to have someone else hold and operate it. An advantage of using a timer rather than a shutter release cable is that the photograph won’t show you pressing the button on the end of a cable. However, if you are only taking a photo of your face or upper body (or the same for you and the rest of the people in a group), this won’t be a problem because the cable will be below the bottom of the photo. Universal shutter release cables are usually inexpensive, but make sure the cable is long enough. You also may want to use a tripod. This will keep the camera at a desired level while the timer or release cable is used. Most tripods and tripod sockets are universal. As with any type of photography, blurring is less likely to occur if a tripod is holding the camera, rather than a person. You can check to see if your camera can be mounted on a tripod by determining if it has a threaded hole on the bottom. If not, you may have to use a table, chair, box, or other object of appropriate height instead. A limitation of triggering the camera remotely is that you probably won’t be able to take vertical photos, only horizontal. A flash unit may be necessary, depending upon the lighting. If possible, avoid using a flash or use a camera with red eye reduction. Consider using an adjustable “bounce flash”, this may let you (and/or other people being photographed) avoid having to directly look at the bright flash of light. As with all flash photography, make sure the flash has strong enough batteries beforehand, and don’t use rechargeable batteries unless the instructions say this is acceptable. Be sure to adjust the camera’s aperture (f-stop) setting accordingly, if it has one. A light meter can help you set it correctly. If a film camera is used, you will probably use ASA 100, 200, or 400 (the most common types) film for self photography. The type of film which is best depends upon the lighting for your photo. Kodak and Fujifilm advertise ASA 400 film as being “versatile” and for “all occasions”. Kodak recommends ASA 200 for photos with bright sun or a flash being used. Konica-Minolta suggests ASA 100 film should be used for “bright outdoors” photography. Avoid placing the camera too close or distant. If it has focusing controls, it may be possible to place it very near, if this is desired. Focus-free cameras shouldn’t be placed any closer than four feet away. The Meikai AW-4396’s manual suggests that best results (for photography in general) are achieved from a distance of nine feet away. Some cameras with a telephoto option may need to be located at least eight feet away when using it; refer to the instructions if possible. Self photography can be made difficult by the inability to look through the viewfinder when the photo is being taken, especially if the photo is to be only of your face or upper body. When setting up the camera and looking through the viewfinder, try to visualize where you will be standing when the photograph is taken. Using a chair in the photo may make this easier. Photography of people can often be ruined by a slight accidental movement on the part of a person being photographed. It is best to take the same photo at least twice; then you will be able to choose the better photo to keep, after it has been developed. Also, if you aren’t sure of the exact aperture or flash adjustment to use, you might change this slightly for each photo. 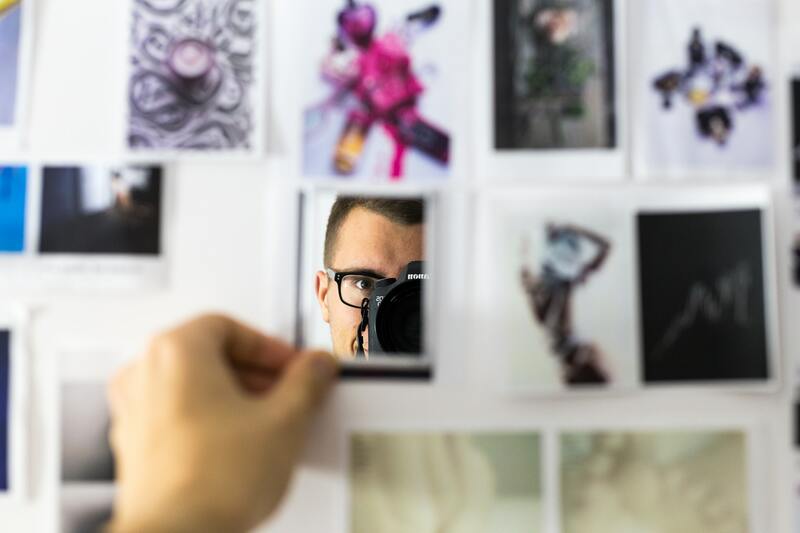 If you are taking self photos only and using a digital camera, it is possible to take the time to check and see if each photo came out well enough. However, in group photography it is better to take several photos without checking, so that people in the group will not become impatient. If your camera lacks a tripod socket, timer, and/or shutter release threading, a different model of camera may be preferable for self photography. Cameras with these features needn’t be especially expensive. An early ’80s camera called the Windsor WX-3, for example, usually sells for under $10 and has adjustable aperture, a tripod socket, and a shutter button with threading for an external timer or release cable. Other relatively inexpensive cameras which might be appropriate for this purpose include the Samsung Maxima Zoom 760i, Bell amp; Howell PZ3300, and Fujifilm MX-700. Keeping these tips in mind should help you to take high-quality self photographs with a minimum of difficulty.